This is valid for 1 bowling ball only. 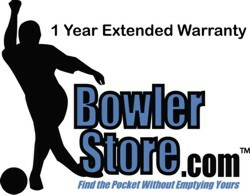 If you purchase more than 1 ball and you want the warranty, you must purchase for each ball. We'll DOUBLE the manufacturer's warranty up to an additional year for only $6.95! You'll bypass the lengthy manufacturer's claims process and work directly with us! No additional costs of any kind.